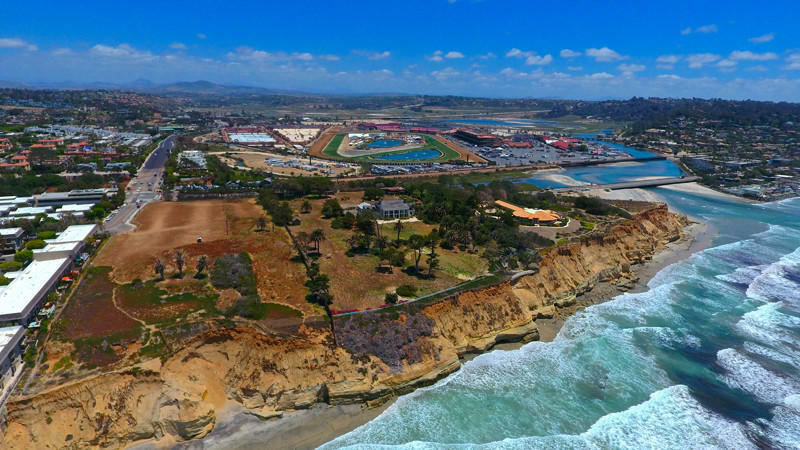 The Robert Green Company scoped out the Del Mar bluff top for a possible oceanfront resort! The Encinitas developers announced last week they have entered into a long-term agreement with the landowners to acquire and develop their property, culminating more than a year-long effort to strike a deal. No specific development plans have been made yet, but the centerpiece would be a luxury resort that could be complemented with hotel-branded villas, restaurants and walkways, not unlike the concept behind the Montage blufftop resort in Laguna Beach.